Building a quality podcast – is a lot of work. In a PerfectWorld, you’d be able to get an outstanding quality podcast creation experience, and somehow be able to reclaim the time, effort and money that you’ll spend doing it all – yourself. The time you’ll reclaim allows you to go and create more “perfect” content, to spend time with your family and/or significant others and make a larger impact than you would otherwise. 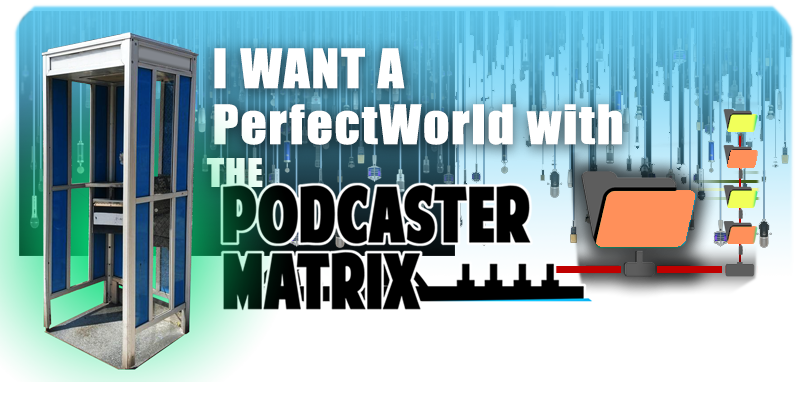 Mix this with the additional potential of quality podcast editing well – when you choose this Podcaster Matrix package, a PerfectWorld is what you’ll have. The PerfectWorld package provides you the ability to streamline the entire process your podcast is created and promoted. This further increases the opportunity for your entire podcast episode library to connect to larger and new audiences as the overall reach of your program continues to expand. Fill out the form below and we’ll get you started today with everything that’s included inside the PerfectWorld Podcaster Matrix Media Hosting package.